Yamaha Silent and Electric Violins have been designed for silent practice, live performance and recording applications. The SV and YEV have set the standard for electric string instruments not only in the United States, but globally. Naturally, the number one question we get is: “What is the difference between a Silent Violin and an Electric Violin?” We’re here to answer your questions and help you choose the right violin for you. 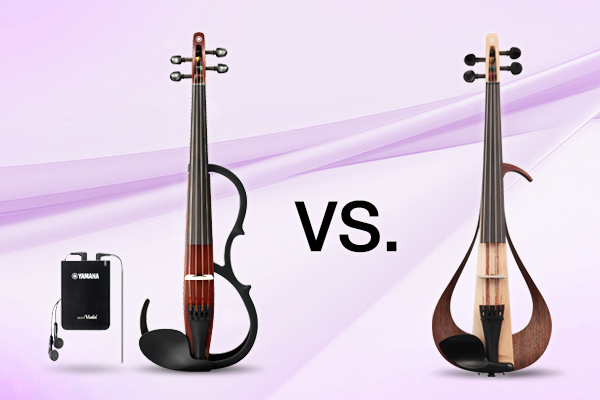 Both the Yamaha Silent Violin and Electric Violin are considered “electric” – what’s the difference? It comes down to function. With a Silent Violin you have two functions: practice with headphones, or you can plug it into your amp. 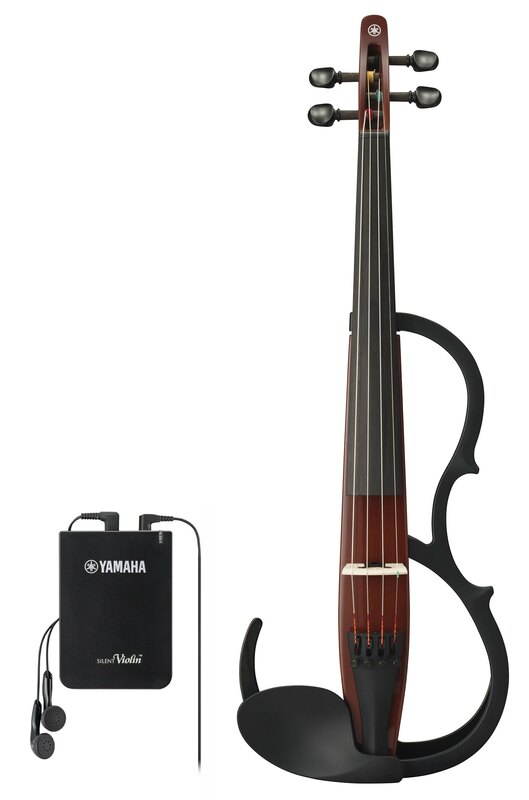 A Yamaha Electric (YEV) Series violin has one main function – plug in and play amplified. Silent Violin (SV) = Headphone option plus plug into an amp. Electric Violin (YEV) = Plug into an amp only. Do Yamaha Silent Violins and Electric Violins sound different from one another? Yes, they do – and it’s more about how you create and control that sound. The Yamaha Silent Violin provides a wide variety of sound control options on the instrument itself, from just having a flat, unprocessed sound to the use of built-in reverb – making it seem as if you are playing in a big concert hall. In addition, the output of the Silent Violin pickup is extremely strong, so it can easily lend itself to the use of effects like distortion or delay, giving you the ability to augment your sound with external processors and effects. The Yamaha Electric Violin has a simple, passive pickup and there is no built-in effect or tone control – it’s a straight signal output to an amp. Therefore, it has more of an open, wooden sound – thanks to the all-wooden construction and in-bridge pickup. Of course, you can further adjust tonality at your amp or with the use of external pedals. SV = Flat, clean sound with more control on the instrument itself. YEV = More open sound, and more control from your amp. How do I know which instrument is right for me? Ask yourself why you want to buy an electric violin. If you want to primarily practice without disturbing others, choose Silent Violin. There are professional-model Silent Violins that are great for amplified performance too, but all Silent Violins have a headphone feature built-in for listening. If your main reason to buy an electric instrument is for playing amplified – and you don’t have a big need for quiet practice – then the Yamaha Electric Violin is a great choice.